You can filter/search the caravans listed below, using the form below the displayed results at the bottom of this page. Fantastic, German-built caravan with spacious L shaped lounge and a fixed bed. Superb value and comes with extras. Will be fully independently serviced and damp checked for peace of mind. 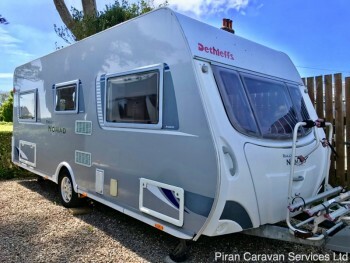 Fantastic continental 2 berth single axle tourer with Isabella awning, motor mover and many extras. Large lounge and rear washroom. Independently serviced and damp checked prior to sale. 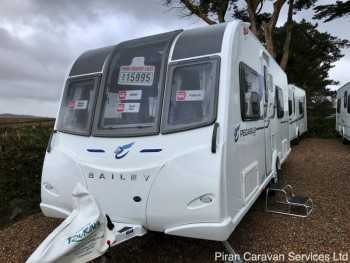 Stunning top of the range 2 berth tourer, with luxury fittings and equipment. Comes with an awning and extras and will be fully serviced and damp checked prior to sale. 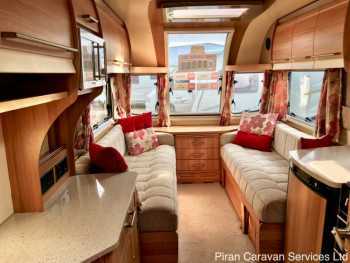 Great value 4 berth tourer with a spacious side dinette layout. Comes with extras including an inflatable awning and a very recent motor mover. Fully serviced and damp checked. 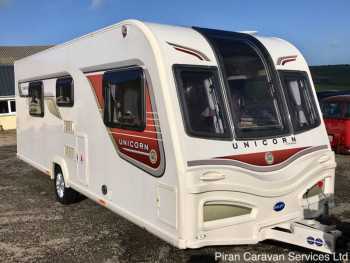 A stunning top of the range 4 berth single axle tourer with central separate toilet and shower and island bed. 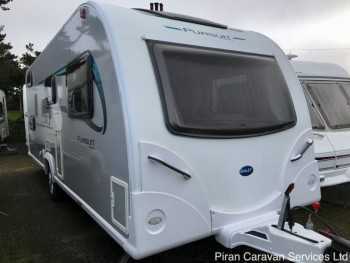 In superb condition throughout, comes with motor mover, air awning and many extras. 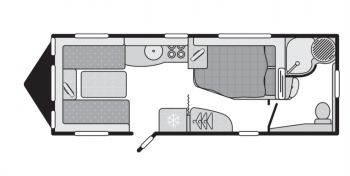 Fantastic large twin axle 4 berth tourer with spacious lounge, fixed bed and end washroom layout. Cleaned, serviced and damp checked and comes with extras. 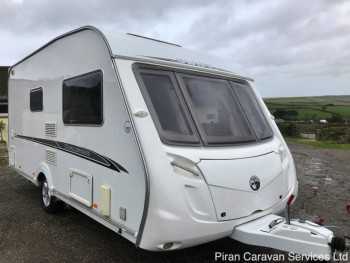 Great 2 berth starter caravan on a single axle, with a spacious lounge and big end bathroom. cleaned inside and out, serviced and damp checked for peace of mind. Comes with awning, mover and extras. Great value starter 2 berth tourer, with spacious lounge, well equipped kitchen and end washroom. Cleaned inside and out, serviced and damp checked for peace of mind. 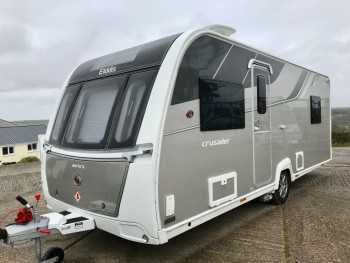 Brilliant lightweight family 5 berth tourer on a single axle, with fantastic side dinette, rear bunk and end washroom layout. Valeted, independently serviced and damp checked and ready to go. Excellent condition 4 berth single axle tourer, with a flexible twin rear single beds layout. perfect for couples and families. fully valeted, serviced and damp checked. 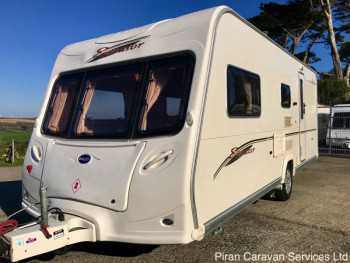 A luxury, four berth twin axle caravan with a large lounge and fixed rear beds. Just flown through its service and damp check and comes with mover and extras. Perfect for seasonal pitches! 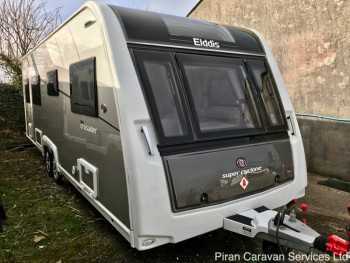 High spec 4 berth tourer on a single axle with a fixed bed and large end washroom. It is warranty serviced and damp-checked. Sale includes full Isabella awning, motor mover and lots of extras.